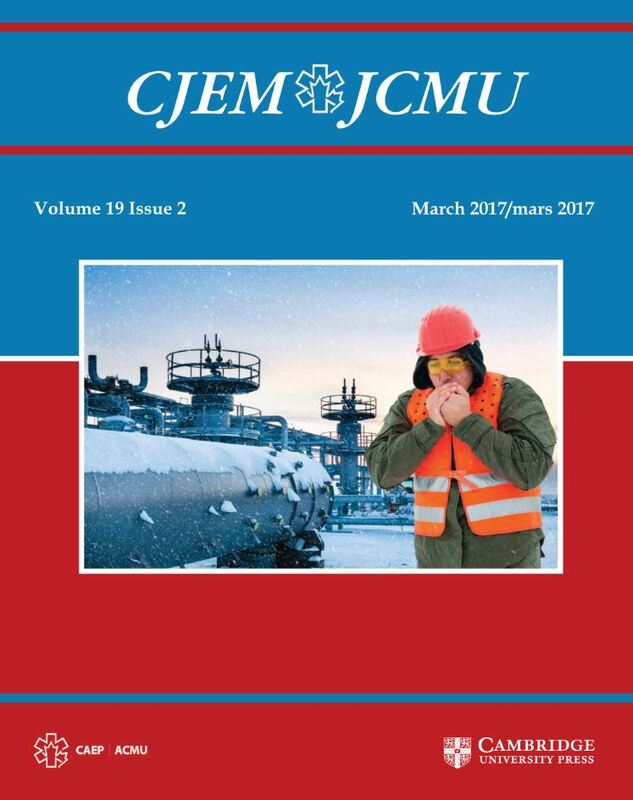 The Canadian Journal of Emergency Medicine (CJEM) is Canada’s only peer-reviewed journal that publishes articles of interest to emergency medicine care providers in rural, urban, community, and academic settings. CJEM focuses on emergency medicine content relevant to clinical practice, emergency medical services, research, medical education, administration, continuing professional development and knowledge exchange. CJEM is indexed by the National Library of Medicine. The 2016 Impact Factor was 1.481. Publication Frequency: Bi-monthly (January, March, May, July, September, November). All advertisements are full colour. Journal trim size is 8.5 x 11 inches. For full bleed ads, please keep live matter ¼ inch from trim. All ads must be print ready in pdf format. If there is an issue with the ad and if time permits before the deadline, we will send the ad back to you for adjustment. If not, ads that have an issue and require our printer to fix will be charged back to you in the form of an additional invoice. Price would vary depending on how much work/time is involved. 1. The file is in RGB and needs to be converted to CMYK. Please provide the file in CMYK. 2. Black text/image is either CMYK or RGB, and needs to be converted to Black. If the file provided has logos or text in black, please ensure the black elements are in black rather than percentages of RGB or CMYK. Provides an excellent opportunity to promote products or awareness amongst emergency medicine physicians across Canada.